Ed Koch, the larger-than-life politician who rescued the city from near-financial ruin during a three-term City Hall run, died of congestive heart failure Friday, Feb. 1, at the age of 88. Angele Kassar Ekert: "I saw Mayor Koch walking down 52nd Street in NYC one day in the late 80s....a couple of tourists yelled to him from across the street 'Mayor Koch, we love you!' He yelled 'Wait, what did you say?' To which they repeated those praises He 'pretended' not to hear them and asked them to say it two more times, each time they yelled louder, to which he responded 'Oh that's what I thought you said!'" Rafael Armstrong: "I didn't live in the city while he was mayor, but I was at a business lunch on the East Side in the late '90s, and I remember looking over and seeing him at lunch a few tables over. There was an energy and a charisma to the man, even after being out of office all those years." Alice Benjamin: "My favorite moment was when my son's Boy Scout Troup led the parade down Ninth Avenue, and the mayor was right in front of them. He made it a point to shake hands with all the Scouts and say hello! I'll miss him -- he was a character!!" Avala Maneeram: "I had the pleasure of meeting Mr. Koch when I was a little girl. He came to my school and talked to us about being active participants in our community. I was only 7, but I remember him as being so warm and friendly and had a general enthusiasm for N.Y that was infectious. He will truly be missed." President Barack Obama: "Ed Koch was an extraordinary mayor, irrepressible character, and quintessential New Yorker. He took office at a time when New York was in fiscal crisis, and helped his city achieve economic renewal, expand affordable housing, and extend opportunity to more of its people. In public office and beyond, his energy, force of personality, and commitment to causes ranging from civic issues to the security of the state of Israel always informed and enlivened the public discourse. Michelle and I send our thoughts and prayers to Ed’s loved ones, and to the city that survives him." Mayor Bloomberg: "In elected office and as a private citizen, he was our most tireless, fearless, and guileless civic crusader. Through his tough, determined leadership and responsible fiscal stewardship, Ed helped lift the city out of its darkest days and set it on course for an incredible comeback. We will miss him dearly, but his good works – and his wit and wisdom – will forever be a part of the city he loved so much." Gov. Andrew Cuomo: "Mr. Mayor was never one to shy away from taking a stand that he believed was right, no matter what the polls said or what was politically correct ... I will miss his friendship, and we will all miss his perpetual optimism and tireless commitment to continually striving to improve our city, state, nation and world." Sen. Charles Schumer: "New Yorkers were particularly proud of Mayor Koch because he was so proud of New York. Every atom in his body lived, breathed, spoke and exuded the city. He helped save the city and, perhaps most important of all, gave it confidence when it was beginning to doubt itself, which helped pave the way for the growth and prosperity we're still experiencing today. Every New Yorker will miss Ed Koch, and his towering presence." 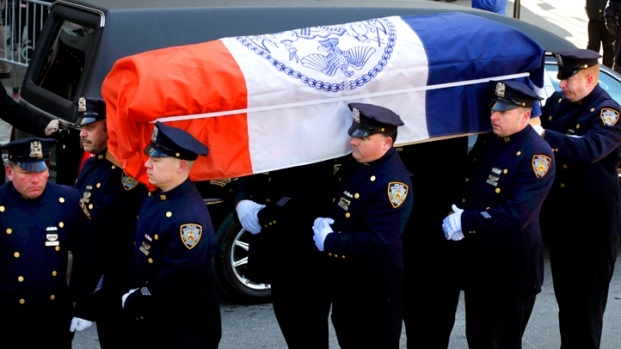 Police Commissioner Ray Kelly: "In many ways Ed Koch never stopped being mayor. He was personally engaged in the issues of the day ... I was privileged to consider him a friend and I am grateful that I had a few more times to be with him, on Tuesday and again last night, before he finally left New York for someplace better - although he'd probably argue that's not possible." Rep. Charlie Rangel: "New Yorkers will forever remember Mayor Koch standing by subway cars each morning to greet his fellow neighbors, giving a face to the city they cherished. However, I will never forget Ed as the incredible man he was, who never left my side through times of need." Attorney General Eric Schneiderman: "As a lifelong New Yorker, it's hard to imagine this city without Ed Koch. We will miss his keen mind, sharp wit, and absolute devotion to making a great city the best in the world. While we mourn his loss, we know that the legacy of his mayoralty, his commitment to civil rights and affordable housing, and his civic leadership long after he left City Hall, will live on for generations." Manhattan DA Cy Vance: “New York would not be the safest big city in America today if Ed Koch hadn’t spearheaded one of the most important criminal justice reforms in New York City’s history as mayor: selecting criminal court judges based on merit instead of political connections. Every New Yorker has the right to walk the streets of our city without fear and all New Yorkers deserve equal access to justice. 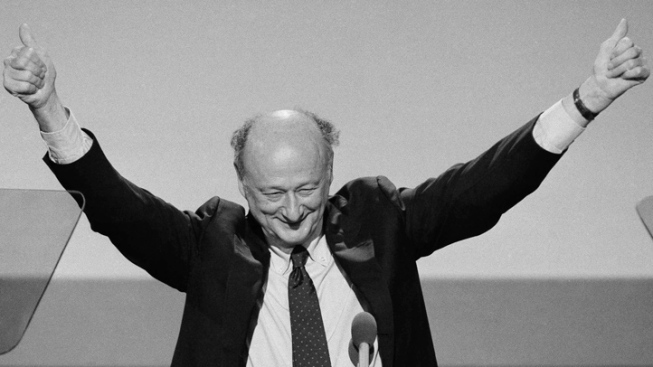 We’d be far, far further from these goals today if not for Mayor Ed Koch’s foresight and vision and courage."